Forensic science has seen a tremendous rise in popularity in the recent past. With successful TV shows like CSI pushing forensic science into the public consciousness, the line between fact and fiction becomes blurred. If we rely solely on popular culture to understand forensic science, then it would appear that investigators are able to complete their analysis in minutes, after a quick montage of laboratory procedures. To separate fact from fiction, we will examine the broader context of forensic science in Virginia through the lens of DNA evidence. Before going any further, we must examine the Code of Virginia to determine the circumstances under which DNA evidence is collected. Section 19.2-310.2 provides that felony convictions or certain misdemeanor convictions require “blood, saliva or tissue taken for DNA (deoxyribonucleic acid) analysis to determine identification characteristics specific to the person.” Furthermore, this section designates the Virginia Department of Forensic Science (DFS) as the entity responsible for conducting analysis of DNA evidence. 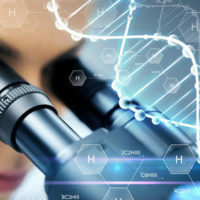 Compare DNA from unsolved cases to a computerized database of DNA profiles from convicted offenders, arrestees, and other crime scene samples to provide possible investigative leads to law enforcement officers. Examiners must first look for biological material – blood, saliva or tissue – in the evidence collected from the crime scene. Without some kind of biological material, there is no DNA evidence to analyze. When biological material is present, examiners can then engage in DNA analysis. This happens by comparing the biological material from the crime scene with biological material obtained from suspects or present in existing databases. In certain circumstances, examiners are capable of performing less standard DNA analyses. One type of analysis is referred to as “Y STR testing.” Beneficial in certain sexual assault cases, Y STR testing examines the DNA that a father passes on to all of his biological sons. Another type of analysis is referred to as “Mitochondrial DNA testing.” Valuable for the identification of dead bodies, Mitochondrial DNA testing examines the DNA that a mother passes on to all of her biological children. After conducting all of their DNA analysis, it is possible that examiners are unable to find a match. In those cases, examiners upload the DNA analysis from their case into a database for comparison. Virginia operates a statewide DNA data bank, as governed by Code of Virginia section 19.2-310.5. The FBI maintains the Combined DNA Index System (CODIS), which pools DNA evidence from various government (federal, state, local) and private laboratories. Submitting blood, saliva, or tissue samples for DNA analysis can be a terrifying prospect. But with a knowledgeable criminal defense attorney by your side, you will be able to navigate the criminal justice system with a clear understanding of your rights. If you are required to submit to DNA testing for criminal charges, Simms Showers LLP is here to help. Serving clients throughout Northern Virginia, Simms Showers LLP has experienced criminal defense attorneys. Contact a Leesburg, Fairfax, Winchester, or Manassas criminal defense attorney at 703-997-7821 or online via a quick form.